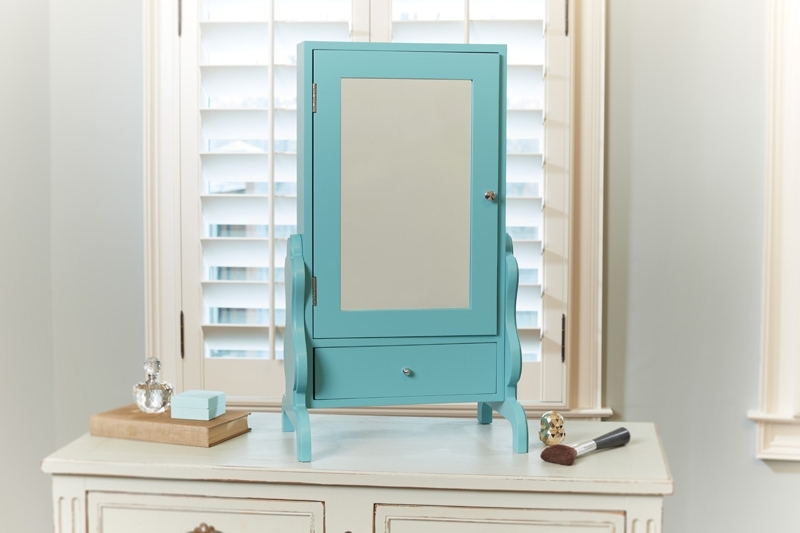 Open your tabletop mirror to reveal a storage space for your jewelry. The mirror has 44 slots for rings, 18 hooks for necklaces and bracelets, and holds 28 pairs of earrings. The design is vintage inspired. 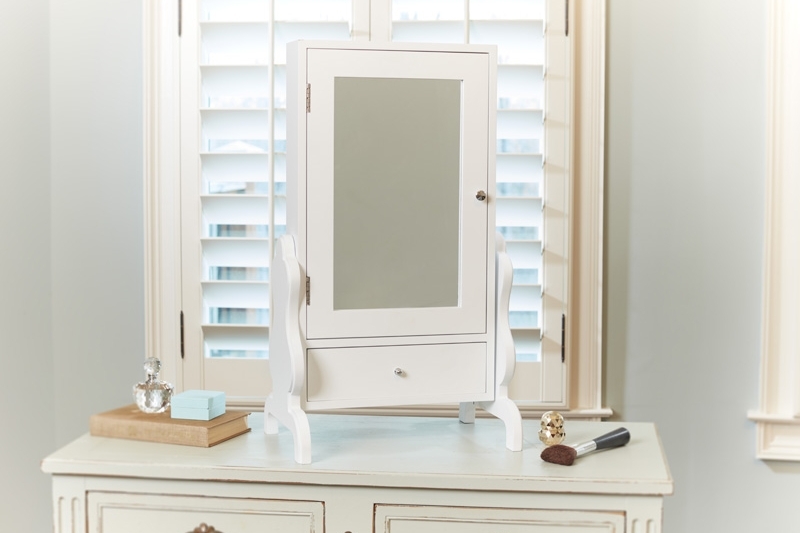 The base includes a storage drawer to store makeup, brushes, and other small accessories. 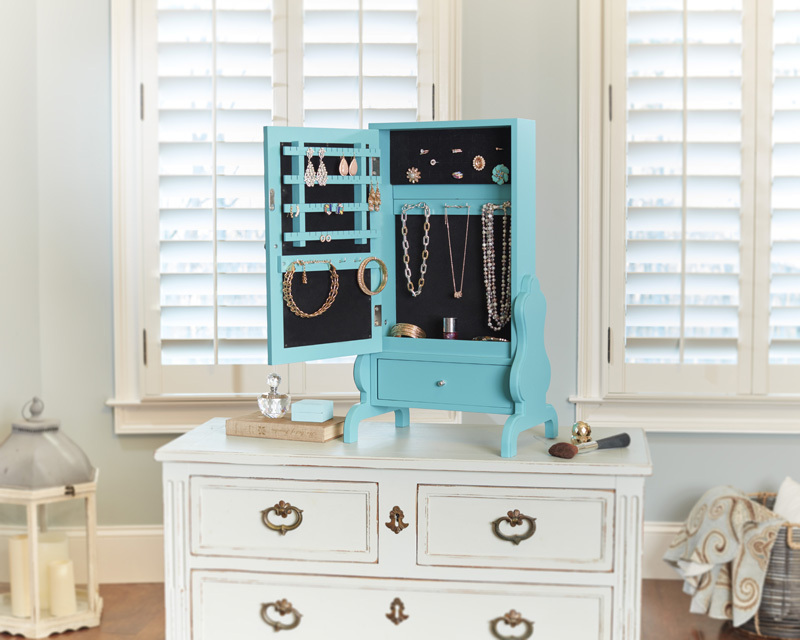 All assembly hardware is included with our tabletop jewelry armoire. Visit one of our retailers to buy yours today.